On November 22, 1952, a Douglas C-124 Globemaster II military transport aircraft crashed into Mount Gannett, which is in the Chugach Mountains, 50 miles from Anchorage. All 52 service members on board died in the crash. The C-124 was flying from McChord AFB in Tacoma to Elmendorf AFB near Anchorage. The crew encountered severe weather over the Chugach, it is believed that the pilot was flying blind, and off course. The plane was probably flying full speed when it flew into the mountain and exploded. Search teams could not get to the crash site for three days due to the weather. Fairbanks Civil Air Patrol was the first on the scene. The weather made recovery at the time, difficult, to say the least. Avalanches were triggered by the crash. The wreckage was quickly consumed by the glacier. 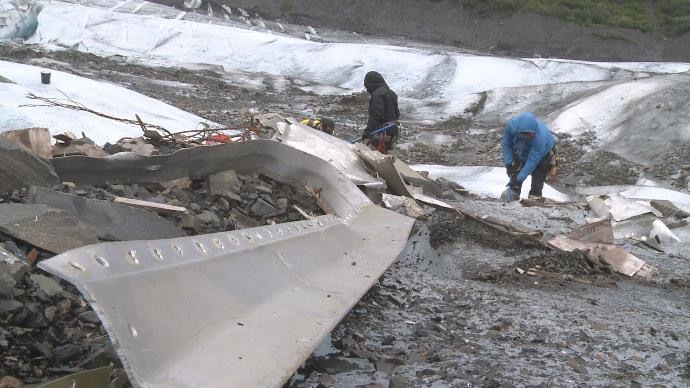 Until June of 2012, when an Alaska National Guard crew flew over Colony Glacier on a training exercise, and the 1952 wreckage was once again exposed. Since 2012, every June, a volunteer military recovery team combs the glacier for the remains of the lost service men. To date, 37 of the 52 victims have been identified. June, on the glacier, is the best month for the detail. The snow melt is high, which exposes more of the crash site. 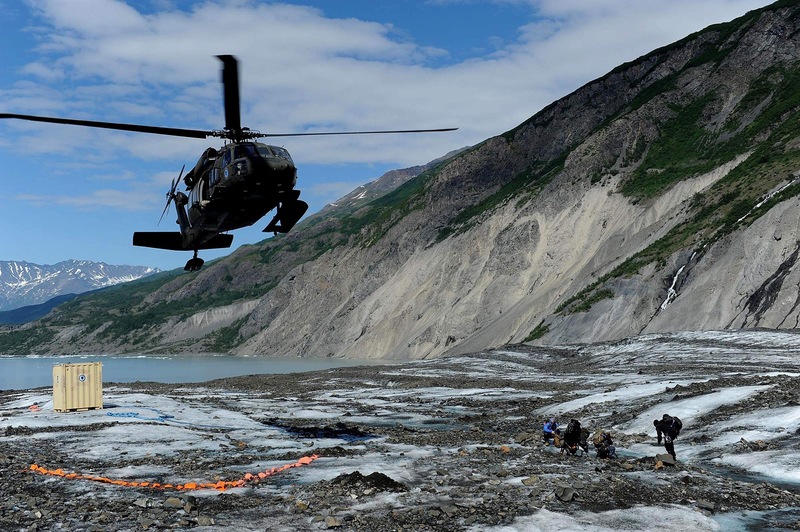 By July and August, the glacier becomes unstable, and the risk from the crevasses increases significantly, so much so, that landing a Black Hawk helicopter is risky. 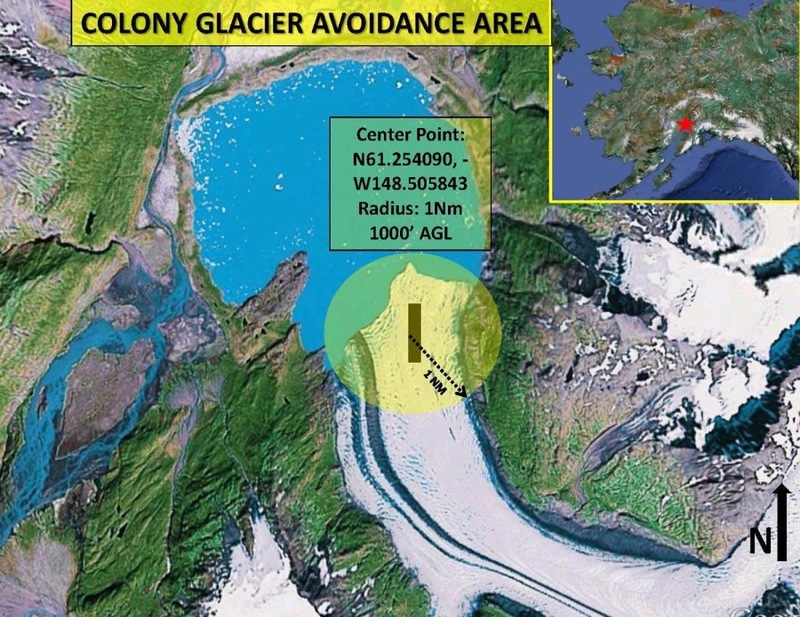 From May to October, there is a no fly zone over the glacier to limit sightseers, souvenir hunters and from the sounds of it: reality television producers. At least one reality TV show tried to land near the site. It’s a race against time and nature to find the remaining 15 crash victims. Colony Glacier is constantly in motion, churning and grinding its way towards Lake George, which lies at the glacier’s base. The current search area is 13 miles from the original crash site, and only 2000 yards from the lake. This entry was posted on Tuesday, June 27th, 2017 at 11:35 PM	and tagged with colony, globemaster, history, photo and posted in Alaska. You can follow any responses to this entry through the RSS 2.0 feed.